With 36 different craft beer taps inside Craft Tasting Room & Growler Shop, it’s easy to pick one of your favorite craft beers and only drink that. On the flip side you have a wide array of craft beer types that you can choose from. The great thing about growlers is that even if you fill it up with one type of beer this time, you have the option to fill it up with a different beer next time. They are the ultimate sharing vessel as well. With your 64 oz growler that the shop sells for $5 you can easily fill it up and take to a friends house and pour a pint for you and 3 friends. Craft Tasting Room & Growler Shop also offers a 32 oz option if you only want a little bit of a certain craft beer. 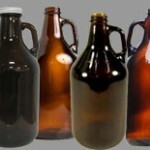 We offer 15% off your growler fill a few days a week during our daily specials. A totally unique experience in Charlotte’s Historic Southend, so stop on by!